On his 111th birth anniversary, ThePrint recalls the life of Jagjivam Ram, 8-time MP from Sasaram who served as a Union minister for almost over three decades. Jagjivan Ram, affectionately called “Babuji”, was the face of millions of Dalits across India. One of the first Dalit Union ministers in the country, he came very close to becoming India’s first Dalit prime minister during Janata Party’s tenure in the 1970s. In his political career, which spanned over half-a-century, Jagjivan Ram served on a dozen ministerial posts and went on to become the deputy prime minister during Janata Party’s government. Jagjivan Ram’s daughter Meira Kumar later served as first woman Speaker of Lok Sabha from 2009-14, and is also going to contest the upcoming Lok Sabha polls from Sasaram constituency. 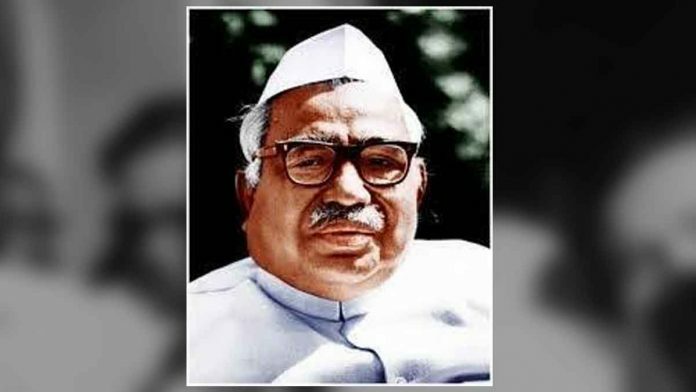 Jagjivan Ram was elected MP for eight consecutive times from the same constituency — an unprecedented event. There were several other firsts in the life of this renowned politician. On his 111th birth anniversary, ThePrint recalls the life and times of Jagjivan Ram. Jagjivan Ram was born to a Dalit family in the village of Chandwa, Arrah, in Bihar on 5 April 1908. He completed his schooling from Arrah town school and earned a B.Sc. degree from the University of Calcutta in 1931. He was the first person from the Dalit community in Bihar to pursue higher education. The same year, Jagjivan Ram joined Indian National Congress. During the Bihar earthquake of 1934, he participated in the relief operations and met Mahatma Gandhi for the first time. He would go on to be considerably influenced by Gandhi’s fight for the emancipation of depressed classes and ‘Harijans’. As a member of India’s Constituent Assembly, Jagjivan Ram also worked to ensure that the Constitution had enough provisions to forbid untouchability and discrimination on the basis of caste. He also played a major role in ensuring that the provision for state intervention for the advancement of socially backward classes by way of reservation was a part of Fundamental Rights. Jagjivan Ram holds the world record of an uninterrupted legislative career for half-a-century — 1936 to 1986. In 1936, he was nominated to the Bihar legislative council. He also held more than half a dozen Union ministerial positions after Independence including as labour minister (1946-52), communications minister (1952-56), transport and railways (1956-62), food and agriculture minister (1967-70) and defence minister (1970-74) and (1977-79). Serving as Independent India’s first labour minister, Ram introduced several policies and played an instrumental role in enacting the Minimum Wages Act 1946, the Industrial Disputes Act 1947 and the Provident Fund Act 1952. As railway minister, he oversaw the first steps towards modernising the railways and did not allow passenger fares to increase at the same time. When he was food and agriculture minister, he had to contend with the 1967 famine. It was during his tenure as agriculture minister that India’s Green Revolution began. Jagjivan Ram stood as a tall leader of the Congress party until 1975 when he finally decided to leave the party after the Emergency. He formed his own Congress for Democracy (CFD) party on 5 February 1977 which later merged with the Janata government. Ram served as the deputy prime minister of the country for a short period of two years before the Janata government fell. Ram formed another new party in August 1981 — Congress (Jagjivan) — and was a part of the opposition for the first time after the elections of 1980. He remained an MP from Sasaram, Bihar until his death on 6 July 1986.